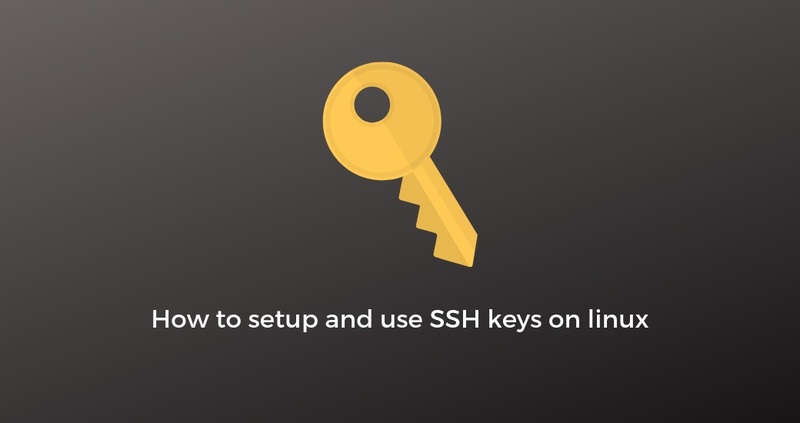 With SSH Keys, SSH (Secure Shell) provide a more secured solution to login on your server than password authentification, because SSH keys are almost impossible to crack with brute-force attacks (consists to try each possible password). It’s also a way to make SSH connections easier, and it provide the ability to give an SSH access to somebody without having to share a password. We talk about “SSH Keys” because it’s a matching pair of cryptographic keys (public and private). The public key need to be added on the remote server, and when you will launch your ssh connection, it will check if the public and the private key match, if not, you will be prompt for a password or disconnected if password authentification isn’t allowed. To generate ssh keys, we will use the openssh built-in tool ssh-keygen. By default the command ssh-keygen will generate an RSA 2048 bits private-key, but you can also generate ECDSA or ED25519 ssh keys which provide a better encryption, with shorter public keys using the Elliptic curves algorithm. You will be prompt for the path to store the keys and for a password. You can keep the default path for keys storage but it’s recommended to set a password to secure your private key because without password, anybody with your private key will be able to login on your server without password. Otherwise, you just have to copy the first server public key and to add it in the file .ssh/authorized_keys on the new server. If you managed to login successfully on your server using ssh-keys, disabling password authentication is a good way to harden security on your server. Then restart ssh service to apply changes.